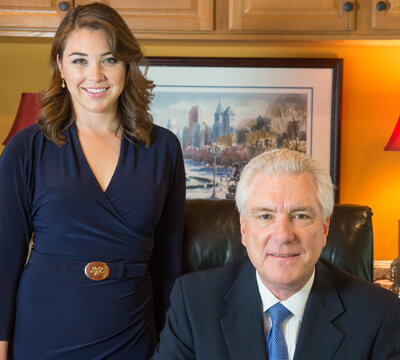 Fox Law specializes in Pennsylvania personal injury law, including personal injury litigation and trial law. This includes all types of personal injury claims, car accidents, truck accidents, and medical malpractice claims. Any situation where you are injured through someone else's negligence, causing damages to you is considered personal injury. We listen to your story and work with you on your journey to recovery and case resolution. We can answer your questions regarding medical bills and work loss, assist you with locating top doctors and therapists, and help you to obtain the benefits available to you. We explain what to expect through the emotional journey of a personal injury lawsuit and what to look for in the attorney who will be your partner throughout the process. After your medical treatment and/or therapy is completed, we can guide you in determining what your case is worth. Generally speaking, case value is determined by the injury incurred, how it affects your life, and liability for the injury. Is the injury temporary or permanent? Is there economic loss and medical bills associated with the injury? Do you have a preexisting injury? We will examine many factors in determining the value of your case and work hard for a fast resolution of your claim. 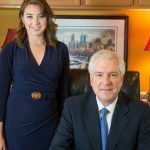 Pennsylvania Personal Injury Law covers a wide variety of topics including Tort laws unique to Pennsylvania, liability issues, negligence, damages, compensation for your injuries, and insurance coverage. Fox Law has condensed an overview of important information to help you to understand Pennsylvania Tort laws and Pennsylvania Insurance laws, and how they may affect you in your personal injury case. VIII. History and Meaning of the term "Philadelphia Lawyer"
When you are injured through the actions or inactions of others, Pennsylvania Personal Injury law allows for compensation in an effort to make you “whole” again from the injuries you have sustained. Compensation is usually monetary, although remedies may include things other than money. There are 3 critical elements to a successful personal injury lawsuit: Proving fault, documenting your injury, and insurance coverage. (See 3 Critical Elements to the Success of Your Case.) Lawsuits begin by filing a personal injury claim. If the claim cannot be resolved, your attorney will file a lawsuit. Lawsuits are often settled out of court however your case may go to trial if you do not receive an acceptable settlement offer. Compensation - 1. Payment for work. 2. Payment for injury, loss, or otherwise depriving a person of something he or she is entitled to. See also Damages. Preserving Evidence: A picture tells a thousand words and is one of the best ways to preserve evidence. If possible, take pictures of the defective condition and the damage. Also, begin a journal as soon as possible following an accident. Begin with the accident scene and include what happened before, during and after the event. Continue your journal in the days to follow documenting your injury, how you are feeling, and how your injury is affecting your daily life. Memories have a tendency to wane, and a journal will be very helpful to you, and your case, when you are asked to recall the details of your accident and injury months or a year later. Obtaining the Police Report: If police were involved in your accident, a police report is helpful expediting your case. Police reports may provide helpful contact information of witnesses, statements of what happened, preliminary assessment of fault, location, time of day, and weather conditions. Although Pennsylvania Personal Injury law may not admit the police report in a civil court proceeding, it can aid your attorney in settlement negotiations. In general, you are entitled to receive a copy of the police report. If you are not able to obtain the police report, your attorney can obtain it for you. Investigation – Once you have retained an attorney, your attorney should conduct a thorough investigation of your claim. This may include the interview of witnesses, gathering and preserving of physical evidence, visiting the accident location, obtaining pictures or videos of the accident scene, hiring medical experts or other experts critical to proving your case, and contacting the insurance companies regarding your claim. Pleadings – After the investigative process is complete, your attorney will prepare the formal presentation of your case in the form of Pleadings. Pleadings present the facts of the case and bring up issues that must be resolved. They are a very important part of the process. Discovery – In litigation, discovery is the required disclosure of all information related to the litigation. Each party may demand discovery of documents, including interrogatories, depositions, medical records, and other documents relevant to the litigation. Discovery reduces the chance of surprises during the trial. In depositions, parties answer questions under oath. Depositions a transcribed by a court reporter. Statements made at depositions can be used during trial. Depositions also give the attorneys the opportunity to see how well a party will testify should they not reach a settlement agreement and go to trial. Settlement Negotiations – Before filing a lawsuit, most attorneys will discuss settlement negotiations to determine whether a fair settlement agreement can be reached without going to trial. Your lawyer will compile and evaluate all of the evidence to support your claim and a settlement range is determined. A “demand” is sent to the insurer, setting forth the facts of the case, including liability, negligence, damages, and injuries, offering an amount to settle the case. If the negotiation process fails to produce an acceptable settlement, a lawsuit will be filed and the parties will go to trial. 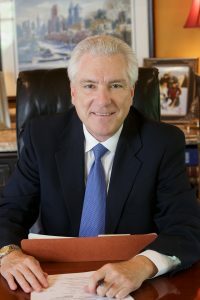 Going to Trial – If an acceptable settlement resolution cannot be reached, Pennsylvania Personal Injury law allows plaintiff's to take their case to trial. Plaintiff’s generally go to trial if the settlement offer that they receive is so far off from what the plaintiff and his/her attorney feels is a reasonable offer, that they feel it is an easy decision. The bar for going to trial is high because of the risks involved. It is important for plaintiff’s to fully understand the risks of going to trial before they make their final decision and the risks should be clearly explained to the plaintiff by their attorney. When a plaintiff decides to reject all settlement offers and go to trial, they risk losing their case completely, including the settlement offer. They also may win their case and receive a far greater compensation than they were offered in the settlement negotiations. There are many variables that influence the outcome of a trial. The result may be influenced by the skill of the trial attorneys, the judge, the jury, and the testimony. Testifying gives a plaintiff the opportunity to look a jury in the eye and tell them what happened and how their injury has affected their life. If they are good witnesses, this can make a big difference in the outcome of their case. The phases of a trial begin with choosing a jury, opening statements, witness testimony and cross-examination, closing arguments, jury instructions, jury deliberation and finally reaching a verdict. Choosing a Jury – During jury selection, the attorneys and judge question potential jurors to determine if they are acceptable jurors for the matters pertaining to the case. Plaintiff and defense attorneys may exclude jurors through “preemptory challenges” and challenges “for cause”. Preemptory challenges can exclude a juror for any reason. Excluding a juror for cause can be used when a juror has shown that he or she cannot be objective in deciding a case. Opening Statements – After choosing a jury, the plaintiff and defense attorneys begin with opening statements. In the opening statements, the plaintiff’s attorney will present the facts of the case from their perspective and outline the defendant’s negligence in causing the plaintiff’s injury. The defense attorney will also present the facts of the case from their perspective in supporting the defendant. Witness testimony and Cross-Examination – Pennsylvania Personal Injury law allows each side presents detailed evidence to support their case. Testimony may include witness testimony, expert testimony, plaintiff testimony, photographs, documents, and medical reports. Witnesses are called to the stand and sworn to tell the truth. The attorney who has called the witness questions the witness through direct examination. After direct examination, the opposing attorney has the opportunity to cross-examine the witness. Following the cross-examination, the attorney who called the witness has the opportunity respond to any issues brought up in cross-examination through “re-direct examination”. Closing Arguments – Similar to the opening statements, closing arguments summarize the case from the perspective of both the plaintiff and defense attorneys. In closing arguments, plaintiff and defense attorneys summarize how the evidence and testimony weighs for a decision in their favor. Jury Instruction – Jury instructions are carefully laid out by both the defense attorney, plaintiff attorney and the judge. Once the jury instructions are determined, the judge instructs the jury on the legalities and findings required by the jury to arrive at a decision. Jury Deliberation and Verdict –Pennsylvania Personal Injury law requires a jury to be unanimous in finding for the plaintiff. When a verdict is reached by the jury, the jury foreperson notifies the judge. The jury re-enters the courtroom where the jury foreperson reads the jury’s verdict. Compensation – A verdict may be appealed, however once a settlement or verdict is reached without further appeal, generally speaking, the insurance company sends a check to the plaintiff’s attorney. At the same time that the insurance company mails the settlement check to the attorney, the insurance company also mails a letter to the plaintiff notifying them that their settlement check has been sent to their attorney. When the attorney receives the check, it is deposited into an Escrow account for distribution. In the distribution process, any outstanding medical or other liens are paid, the attorney is reimbursed for expenses and paid their contingency fee, and the plaintiff receives the net balance of the award. Links to additional legal resources. Describing an exceptionally competent lawyer, the term "Philadelphia Lawyer" was coined in the 1700's when Philadelphia lawyer Andrew Hamilton was hired to successfully defend New York City publisher John Peter Zengler, who was arrested in a highly pubic liable lawsuit. Up until that time, truth had never been used as a defense for liable. Hamilton won the case and people began saying, "It took a Philadelphia Lawyer to get him off." The case strengthened the rights of freedom of speech and established the principle of freedom of the press in America. (See also History and Meaning of the term "Philadelphia Lawyer").